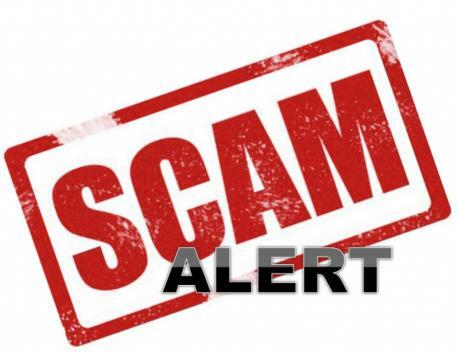 You have likely heard several times in your life the adage, “If it sounds to good to be true, it probably is.” You can be assured those words of wisdom apply to avoiding credit repair scams. Unfortunately, however, some unscrupulous persons seek to take advantage of people who are vulnerable because they are faced with the need to rebuild their creditworthiness, which can be emotionally taxing. After all, the information in one’s credit report can affect the ability to get a loan or insurance, and how much you have to pay for them, as well as the ability to be hired for some jobs. While someone with a less-than-desirable credit rating certainly can be hopeful that repairs can be made, the process does takes time and discipline. Do not use the services of any company that tells you restoring your creditworthiness is “no problem,” that your bad credit can be “erased,” or other similar claims that simply do not reflect reality, the Federal Trade Commission (FTC) states. If the negative information on your credit report is accurate and current, no one can remove it; it must stay there for a required amount of time. The first action a legitimate, well-meaning credit-repair firm will take is to inform you that credit repair is something you can do on your own, if you have the time, dedication, and discipline; and that credit reports are available to inform you of the data in your credit history that new potential creditors, insurance companies, or employers can see if you seek to do business with, or work for, them. If a company denies you such things as credit or a loan, insurance, or employment because of your credit history, you are also entitled to receive a free credit report within 60 days of the denial, if you request the report. You are also legally entitled to receive a free copy of your credit report once every 12 months from the three national credit reporting companies, if you request it. The requirement for providing that information is from the Fair Credit Reporting Act. If a credit-repair company attempts to persuade you not to contact the major credit reporting companies directly to discuss a concern you have, do not do business with them, because they do not intend to serve your best interests. A legitimate credit repair firm will not ask you to pay for their services before the work they have promised to do for you is complete, notes the FTC. In fact, the Credit Repair Organizations Act provides the legal support for you to take that position relative to paying. The FTC warns that a tactic of some illegitimate credit-repair companies is to suggest to clients that they invent a “new” credit identity and then a new credit report by applying for an Employer Identification Number to use instead of their Social Security Number. This is terribly bad advice because such action constitutes fraud and is a federal crime for which any clients following the advice will be liable. So What can You Do if You Need Help? First, as has already been conveyed, familiarize yourself with your rights and avail yourself of your credit reports so you know exactly the state of your creditworthiness. If you think certain adverse information in a report is inaccurate, compose a dispute letter and send it to the consumer reporting company. The FTC provides a template or example letter on its website to guide you. If you have poor credit, you may still be able to get credit; standards vary among creditors. But, regardless, you will want to educate yourself and develop a plan of action to set yourself on a course that will ultimately lead to your having greater creditworthiness. Be of good cheer in the process and consider whether you have the discipline to develop a budget and negotiate repayment plans with creditors. If not, look for a free or affordable, legitimate credit counseling organization to assist you. An organization that offers in-person credit counseling programs is ideal.